In the beginning of computer technology, the floppy disk was the only mode of transfer of data and the only medium of storage of data. Then came the CDs and shortly thereafter, the DVDs. These ruled the market for a long time, after which USB drives were created, which could store gigabytes of data in one small stick of space. Naturally, with its creation, the other mediums or storage and file transfer soon became obsolete. Although the price of USB devices is almost ten times or more of that of a CD or a DVD, the usefulness of the USB drive has made it way more popular than the previous ones. Using a USB device in order to create Windows 7 USB installer is just one of the many perks. 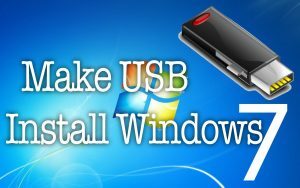 Using a USB device to create Windows 7 USB install in your computer is made much easier, faster and more convenient using a USB device. This article is aimed at providing you with two different ways of creating a USB flash drive that will work perfectly like a Windows 7 installation DVD. The things you will require in order to create Windows 7 USB installer include a USB device, like a pen drive which will have at least 4 GB minimum free space in it and a Windows 7 installation disc. You will also need the relevant product key of the disk, otherwise, it will not work properly. 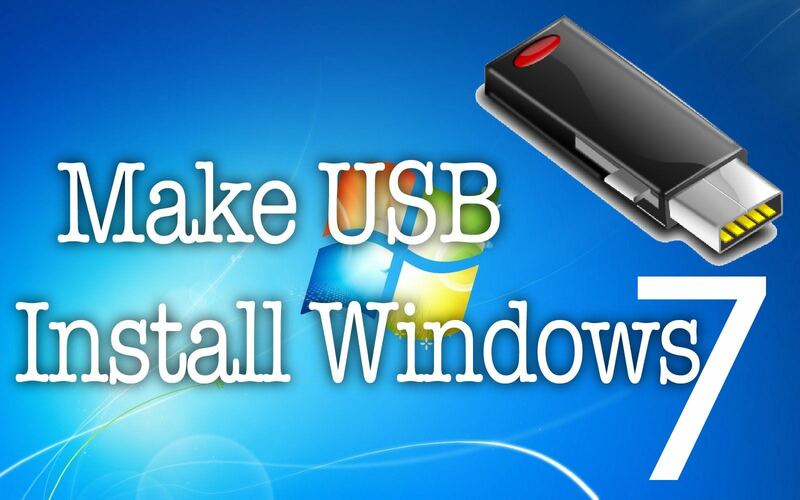 This is one of the easiest and the fastest ways by which you can create Windows 7 USB install using a USB device. All you need to do is download the Microsoft 7 USB DVD Download Tool from the Microsoft Store. This is an executable (EXE) file, that you will need to run on the computer where you want to install the Windows. This will run the installation wizard, which will create a desktop shortcut for the Microsoft Windows 7 USB DVD Download Tool. Run this as an administrator and the installer will start, using which you can install the Windows. Once the bootable device is ready, you will see a message confirming the same. Your device is ready for use. This is a more complicated method, yet useful, in case you could not download the Microsoft 7 USB DVD Download Tool. You need to open the command prompt of the computer and type in DISKPART and hit enter. Now type in LIST DISK and hit enter. This will give you the list of disks and you will have to recognise the USB. Then type CREATE PARTITION PRIMARY and then SELECT PARTITION 1. Next type ACTIVE and then finally FORMAT FS=FAT32. This will start the process by which can successfully create Windows 7 USB install for your computer and use it later.